Off the Rails scrapbooking has a really dramatic moodboard this month.. 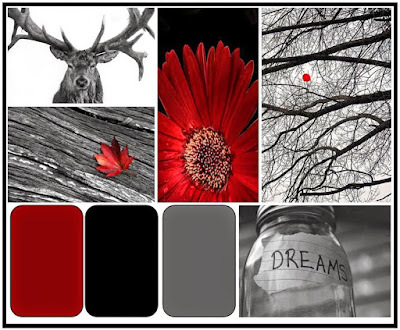 I was inspired by the wintery bleak feel of the photographs, and used red, gray, black on a white background. The water dripping off my gutters one winter formed this unique chain on my back deck. It grew to about three feet high! The winning prize is some chipboard from 2 Crafty Chipboard, which has some AMAZING stuff, but unfortunately for this American girl, they are based in Australia!! I love their website though, it is so inspirational. I really love how you've made your papers almost like your photo! It really is a great photo and a great page! We are so happy you've joined us at Off the Rails Scrapbooking. Seriously love what you have done with this page ... so clever! Thanks for joining us at Off The Rails. Love the way the film strips mimic the ice photo. Cool page. 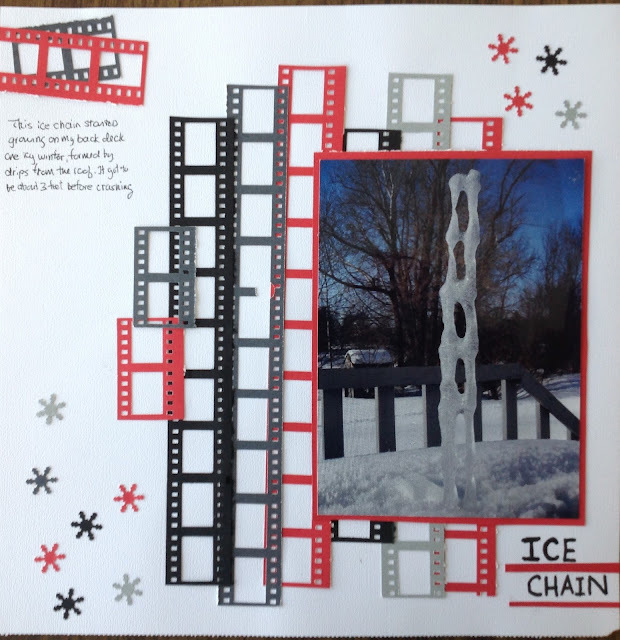 Thanks for sharing it with us at Off The Rails Scrapbooking.